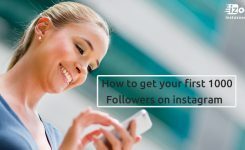 Instagram may need no introduction, but for some of you who aren’t familiar with it, it’s a social networking platform that lets people capture and share photos and videos with their followers. Since Instagram is all about visual, posting high-quality images is the most important thing to be successful on the platform. Whenever you post a picture on Instagram, you will have many different sharing options. 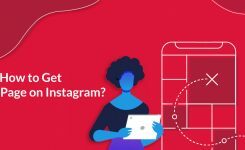 In this article I am going to share some tips around photo sharing with you, so sit back and relax, because my friend, you are going to learn some Insta-hacks. Instagram has a lot of beautiful effects that you can add to your photo before sharing it. They have different color and contrast levels; you can try them to find the perfect one related to your post. 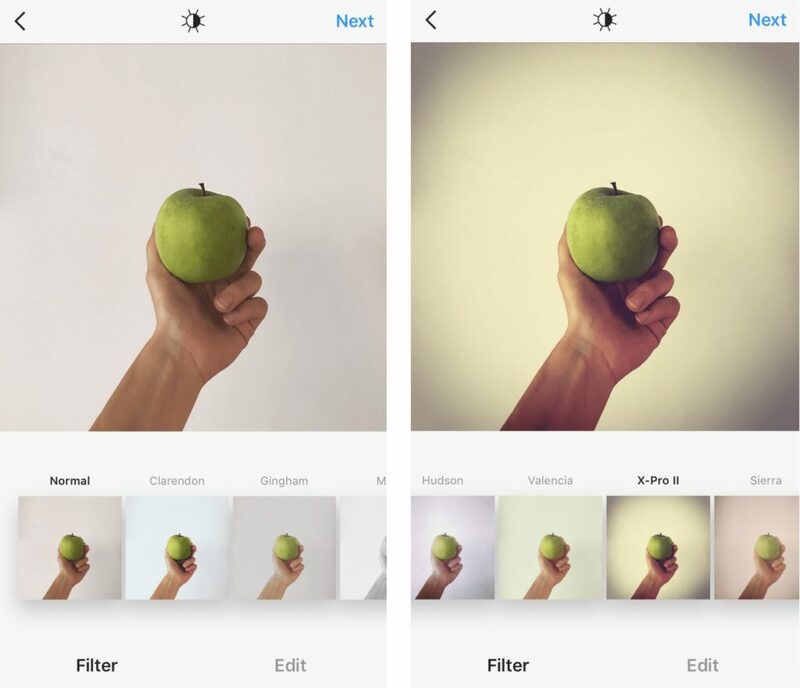 Increases shadows and brightens highlights in your pictures, allowing for vibrant color. 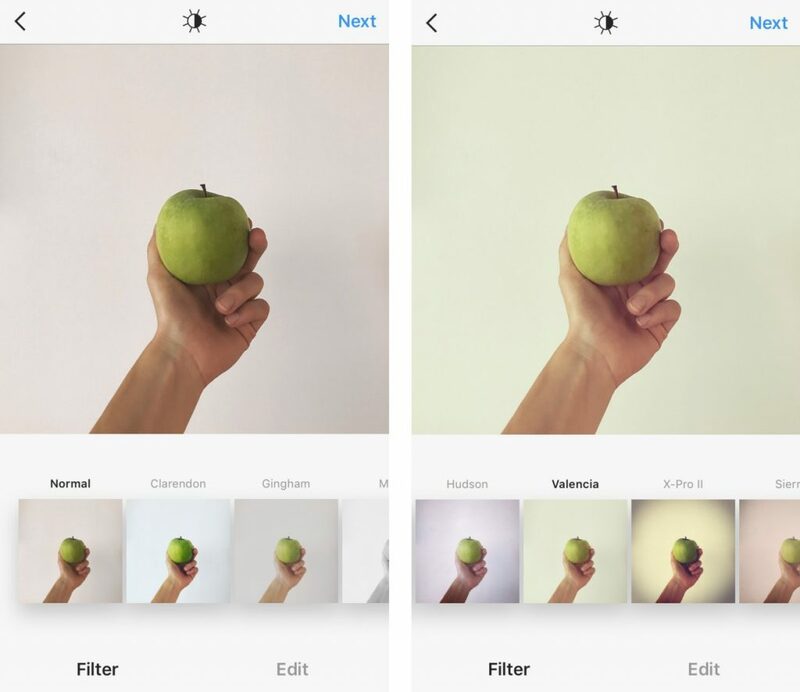 You can use this filter in your minimalist photos where color will be a main focus point. Clarendon “cools down” your picture, as it lightly increases contrast and saturation, but then adds a cyan tint in bright highlight areas and cools down highlights and shadows. Its mid-tones, though, are somehow warm, which allows skin on portrait pictures to look more natural, despite being cooled down. Tints cool tones green while causing warm tones, and whites glow for vibrant images of people. It is also famous for adding richness and authenticity to street photography. Juno isn’t just a great movie, but also a great Instagram filter. It’s effortless and doesn’t do much more than handling the vividness and contrast of the photo. It also increases the reds and yellows in your picture, making these colors stand out a little more than the blues. I have a question for you: If Beethoven was active on Instagram, which filter would he use for his pictures? The right answer is Ludwig. This filter decreases saturation and luminance for cyans, yellows, blues, greens, and magentas, except the color red, which actually gets more saturated. Topped with a little contrast decrease, Ludwig really brings out the vibrancy of the reds. Lark De-saturates the reds while enhancing blues and greens to bring your landscape photos to life. It’s the most common filter for food images. It’s also famous for nature shots. When you need to brighten your picture, keep a fresh feel, and make it look a little washed out, Lark is your best choice. It enhances exposure, which makes your photo brighter, decreases vibrance a tiny bit, which makes it more “calmed down,” reduces the saturation of reds, magentas, and purples, and increases the saturation of the greens and the blues. 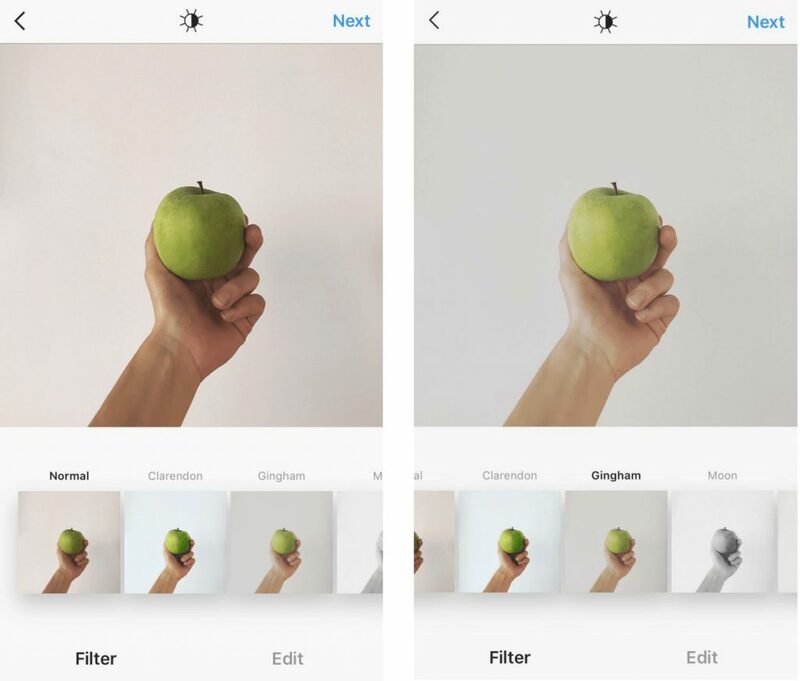 Gingham provides a vintage effect for your photos, as it works by taking some color out of the picture. It reduces highlights and saturation and applies a white vignette to the image. This produces a slight haze and gives a nice warm atmosphere to the picture. 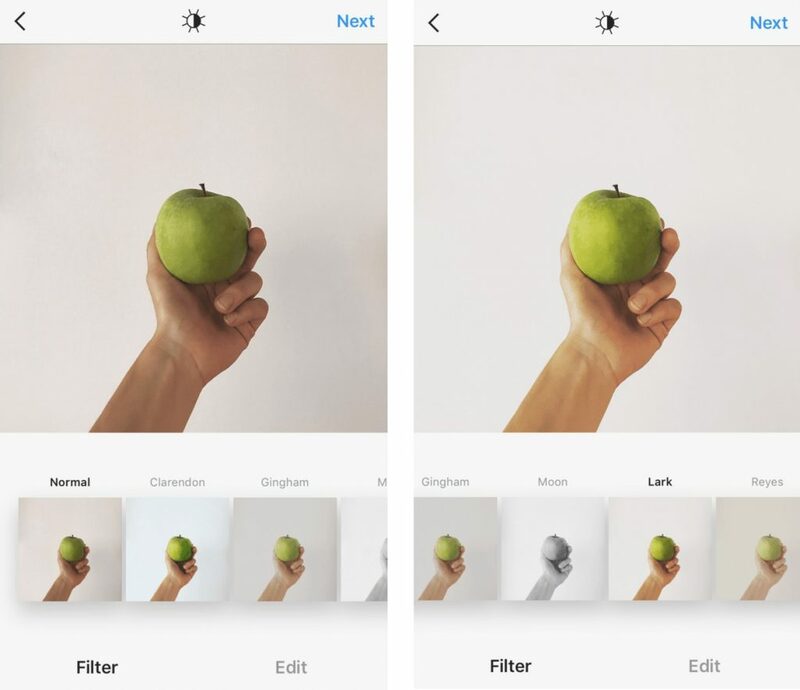 For years and years, Lo-fi has been an active player in the filters game on Instagram.by using this filter, you will make everything more intense, as it increases saturation and adds shadows. It’s pretty 90s if you ask me. Aden is famous for its great retro, pastel-y look, which works for you if you want to soften the hard lights. It makes bold pictures look a bit more subtle, when needed, making them show up more dreamy! Good for: Photos with pastels and light pinks. This filter has the highest contrast and adds a LOAD of darkness and shadow, not to mention the vignette, which shades away from the edges of the photo. X-PRO II is based on a photo-developing method called “cross-processing,” where pictures are processed in a chemical solution for various types of film. 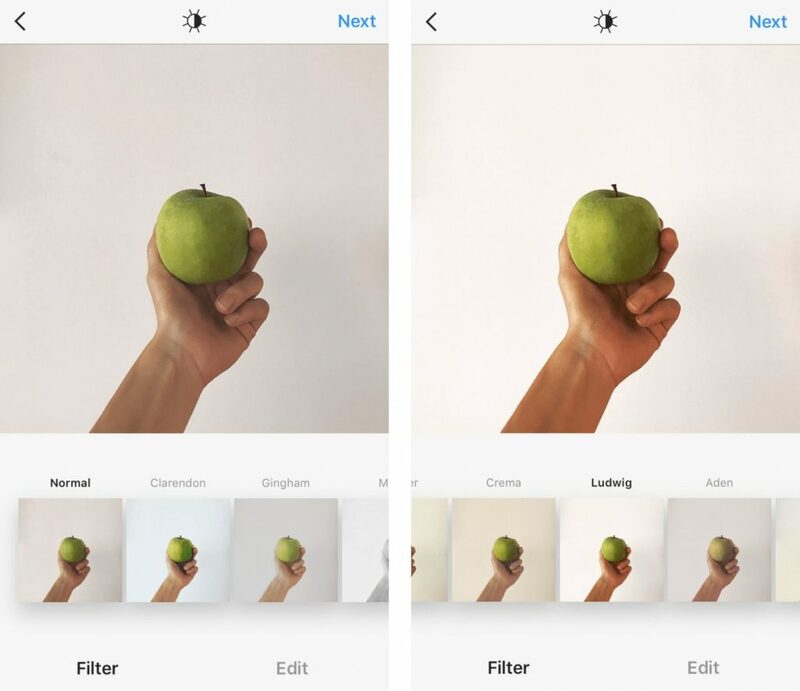 This is one of the oldest filters of Instagram and was designed to be used to correct the below-average camera phones of 2010 when Instagram had just launched. After applying the filter, you can adjust the Lux setting by tapping on the sun icon above your picture. 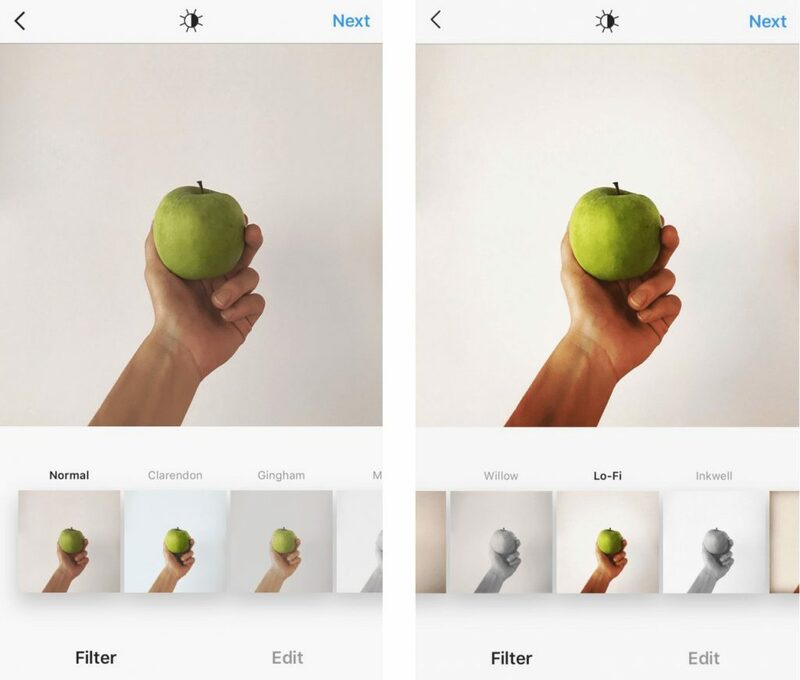 It adjusts the exposure and contrast of images, adding dimension and causing the features of the picture pop. It’s kind of like contour, but for your photos instead of your face. This can be especially helpful for improving underexposed pictures. Adjust the Lux by sliding the scale. Pushing it to the right raises contrast and intensity, and swaying to the left reduces them. Now, tap on the edit button on the bottom-right to adjust the other settings. Remember to check the alignment to make sure your picture is as straight as you need it to be. Also, you can crop it to the proper size to make your photo more appealing. 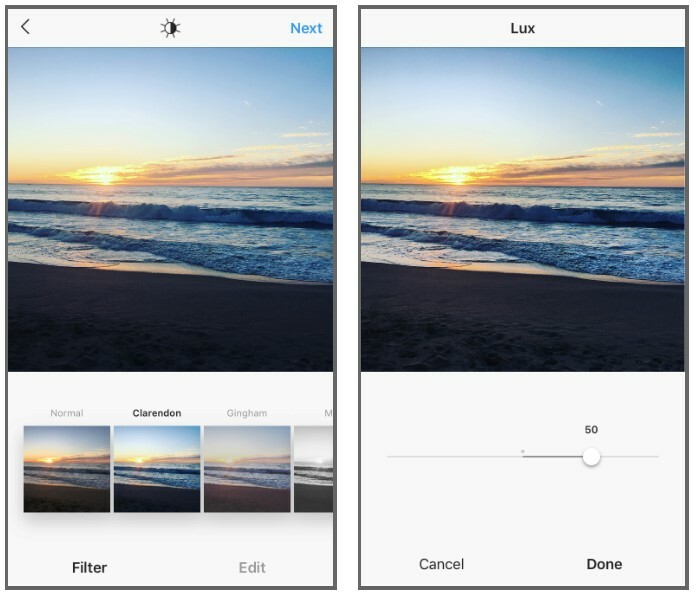 Capture or upload a picture, then tap Edit at the bottom of the screen. 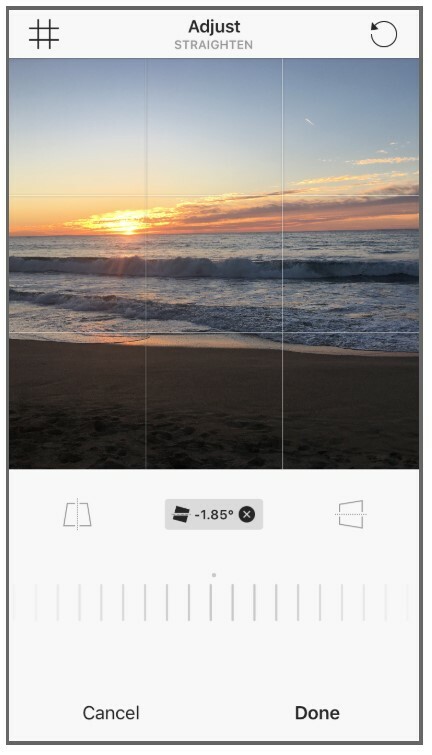 Tap Adjust, now swipe the slider right or left to straighten the photo. Use the grid to help you frame the picture. Tap Cancel to cancel or tap Done to save your changes. 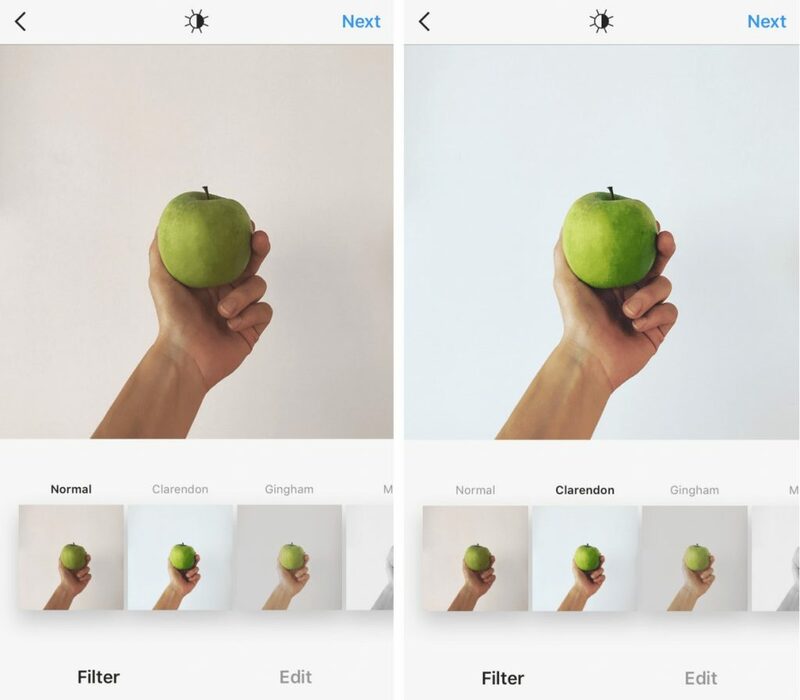 In the editing menu, you can change the contrast and brightness of your photo to make it brighter or darker. Increasing the contrast will attract your followers’ attention to your photo subject. A picture that is taken in full sunlight will be high in contrast. It’ll have tones ranging from white to black, with bright highlights and dark shadows. Now if you increase contrast, you will make the highlights brighter and shadows darker. 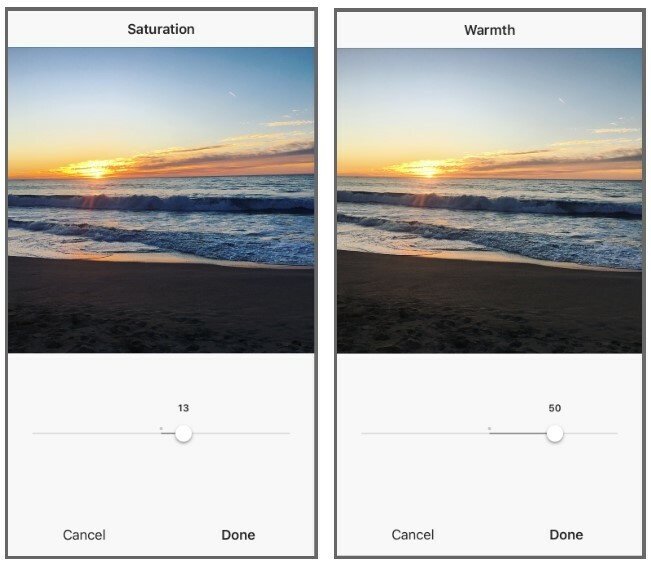 Increasing saturation will increase and intensify the separation between colors of your photo so that it will give your image more vivid colors; you can also tone it down to create a faded effect. By changing the warmth of your photo, you can make it more warm or cold, depending on your subject and main profile theme. Tilt-shift within Instagram is the process of selective focus. It can be used to give the illusion of a shallow depth of field or emphasizing a subject in the picture’s background while blurring out the foreground or vice versa. Boomerang lets you turn everyday moments into something unexpected and fun. It takes a burst of pictures and joins them together into a mini video that plays forward and backward. Shoot in landscape or portrait. You can capture someone jumping off a diving board, opposing physics as they fly back and forth through the air. 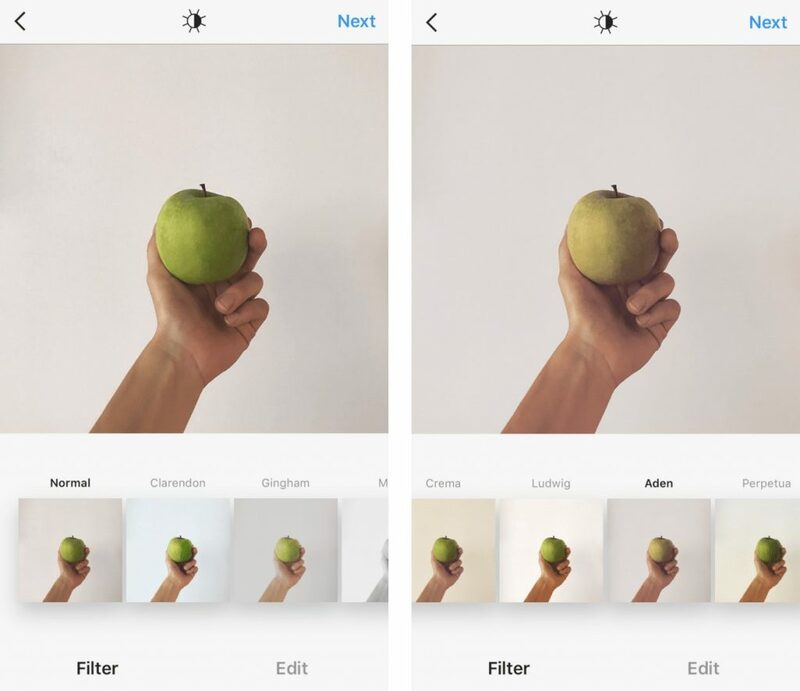 Layout is a third-party app for Instagram that lets you combine multiple pictures into a single one. It is fun, simple and gives you a new way to show your creativity. Hyperlapse allows you to create moving, handheld time lapses that turn into a cinematic look, quality and feel—a feat that before this was only possible with expensive equipment. Do you know any other photo sharing options? If you do, please share with us on the comments below.